The Northern Chamber Orchestra is a registered charity (no 278912) and a registered company (no 1430784). We aim to enrich people’s lives and develop communities through the promotion of quality music-making across Cheshire, Greater Manchester, Cumbria, Lancashire, Yorkshire and Derbyshire, to a range of diverse audiences. The Orchestra does not receive regular government funding and raises revenue through ticket and CD sales income, charitable grants, commercial support and sponsorship, individual donations, fees from engagements and the hire of the orchestra and its learning team. The support we receive from these sources enables us to present innovative concert programmes, featuring top soloists, and to present exciting performance and learning initiatives around the region. We estimate that across our NCO-promoted concerts, engagements by festival promoters and music and choral societies, over 20,000 people enjoy hearing the NCO in performance every year. In the past two years, we have worked with over 80 schools and over 3,000 school children have had the chance to experience creating and performing music the ‘NCO way’ – encouraging and inspiring a new generation to play and enjoy listening to classical music. In the last ten years, we have given over 60 school, youth and community choirs and choral societies the opportunity to perform with us, thereby learning from the experience of working with a professional orchestra and performing as part of high-profile occasions. We have given world premiere performances of at least 12 new works by contemporary composers of every generation. 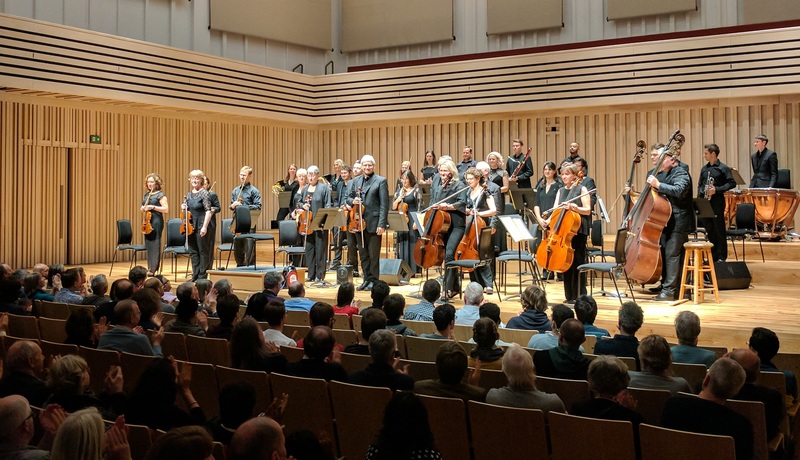 We support the professional development of talented new musicians through our learning and performance collaboration with Chetham’s School of Music, and trainee music teachers via our Manchester Metropolitan University ‘Orchestra in Residence’ status. The NCO has recorded a total of 35 CDs with several of them considered to be ‘best recordings’, and the Haydn series received international acclaim. We intend to continue developing across all our areas of work and to enhance our connections to existing/ new audiences and communities across the North of England – but, we can’t do it without contributions from our Friends, Patrons, supporters and sponsors.